Important: This is a 81-page downloadable activity book in PDF format. Nothing will be shipped. Instant Download! Need help teaching your students more about the Bible? 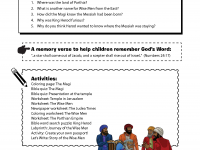 This printable Birth of The King Activity Book is a wonderful way to help children learn about the birth of Yeshua (Jesus). This teaching pack includes detailed lesson plans, a bible story, hands-on activities, puzzles, map and writing activities, coloring pages, Bible verse copywork, history fact sheets and much more! Plus detailed scripture references and an Answer Key for teachers and parents. Thanks for buying our Birth of The King Activity Book and supporting Bible Pathway Adventures. Every printable book purchased helps us continue our work providing free Classroom Packs and discipleship resources to families and missions around the world. 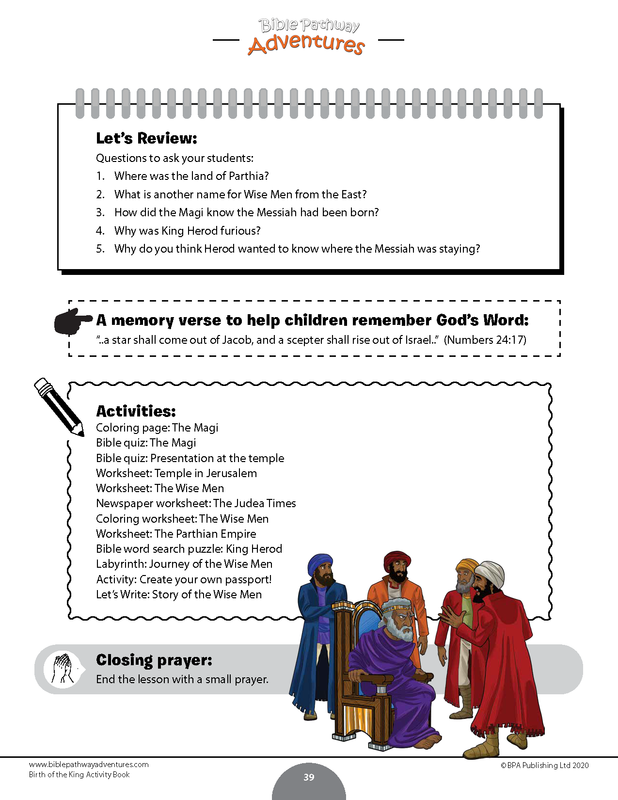 Click the button above to download a FREE sample of our Birth of The King Activity Book. Or click on a cover below to view more Activity Books.